Next up is P2P Chat, Block Explorer, and much more! NOTE: BlackToken was converted to use leveldb for blockchain storage so with the new wallet you will need to resync with all the blocks since its a new db. Give it some time and if the wallet seems to get stuck just go to File->Exit and reopen it. It gets stuck because too many blocks are being thrown at it and they get jumbled up. This is NOT a mandatory upgrade but it is definitely recommended. Encrypted messaging is also available within the wallet. You will need to sync to the blockchain in order for it to work. BlackToken is a revolutionary cryptocurrency that provides complete end to end anonymity. It uses the trending X13 algo with the integration of TOR and a POS system. Furthermore, BLKT looks to build value based on customer use. We believe in integrating a BLKT -> VISA GC site that will bring money into the economy and provide a useful service to the community. Are you serious dev? 24hour mining phase and no wallet? 24hours pow coin scam . yeah , btw ARCOIN IS GOING TO WALL STREET! Unlike ZipCoin or other scams we are not promising anything that we have not done yet. 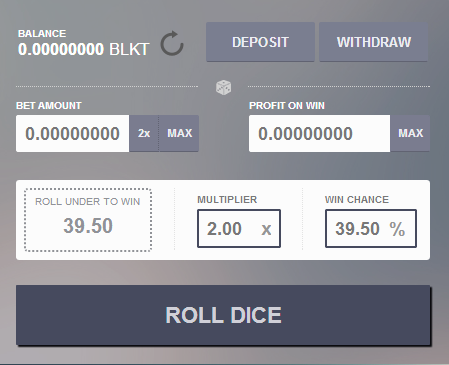 It is a gamble like many other coins but we have the coin mixer fully coded and ready to go. It is currently in Alpha stage and may have some bugs but it is fully functional. It will be released 48 hours from now and functions very similarly to bitmixer.io I am ready to answer any technical questions you may have. Just remember this is a newbie account so i can only reply once every 6 minutes. Edit: Maybe not, after resynch all good. So English wallet,so to mine. The block reward is designed in such a way that you have 2 chances to get in on the high rewards.